WASHINGTON, Jan. 15 (Yonhap) -- South Korea and the United States are expected to decide by the end of this month how to proceed with joint military exercises amid ongoing nuclear negotiations with North Korea. The allies have suspended several exercises since the June summit between U.S. President Donald Trump and North Korean leader Kim Jong-un to help advance talks on dismantling the North's nuclear weapons program. The allies' defense chiefs agreed in October to review and make a final decision on this year's major combined exercises by Dec. 1. 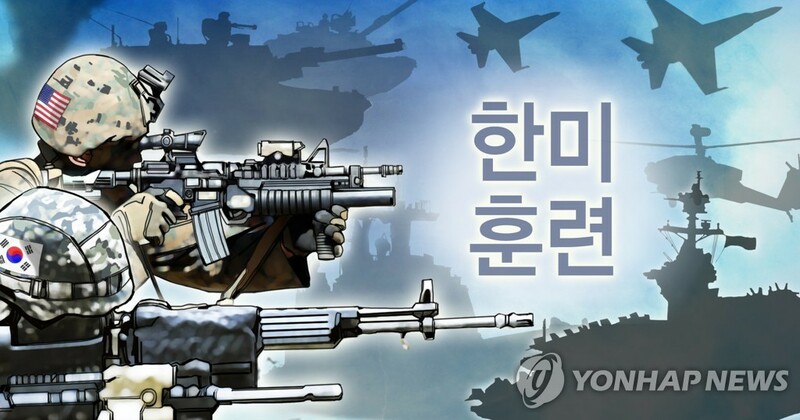 "No decision has been made on the spring exercises as of yet," Lt. Col. Chris Logan, a Pentagon spokesman, told Yonhap. "I expect something by the end of the month." Foal Eagle, a major field exercise carried out each spring, is expected to be downsized after then-U.S. Defense Secretary James Mattis told reporters in November that it is "being reorganized a bit to keep it at a level that will not be harmful to diplomacy." Kim made clear in his New Year's address that the joint exercises should stop, saying they are "the source of aggravating the situation on the Korean peninsula." Trump said last week that the venue will probably be announced "in the not-too-distant future." And U.S. Secretary of State Mike Pompeo said Sunday that the details are being worked out. The State Department has refused to confirm whether the meeting is taking place.